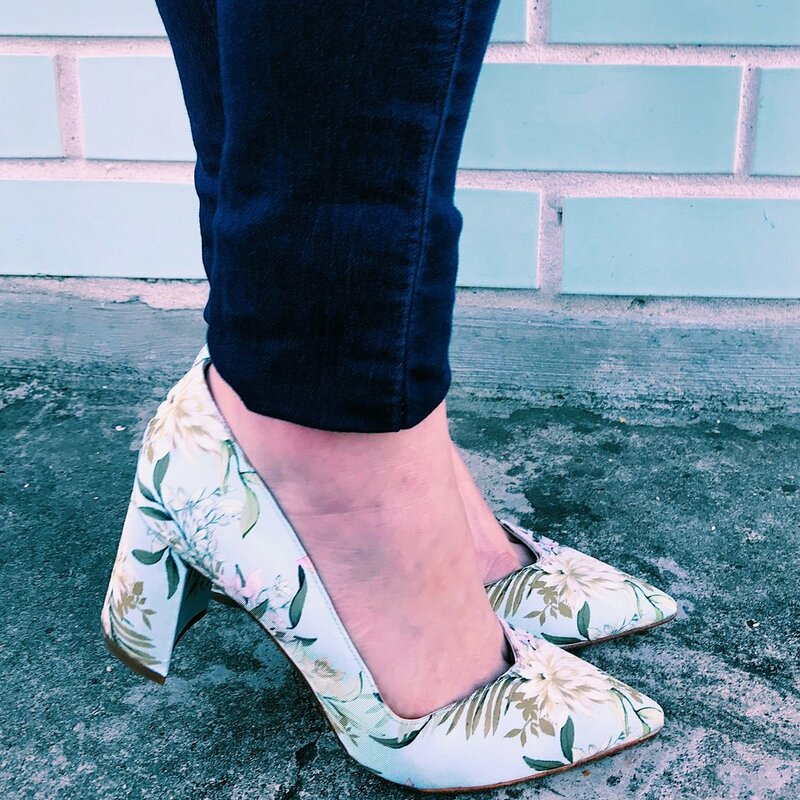 These floral pumps! I’m sitting here trying to write about them and I’m speechless. After wearing them to lunch the other day, I keep dreaming of them being perfect with white sundresses! I absolutely love about them. 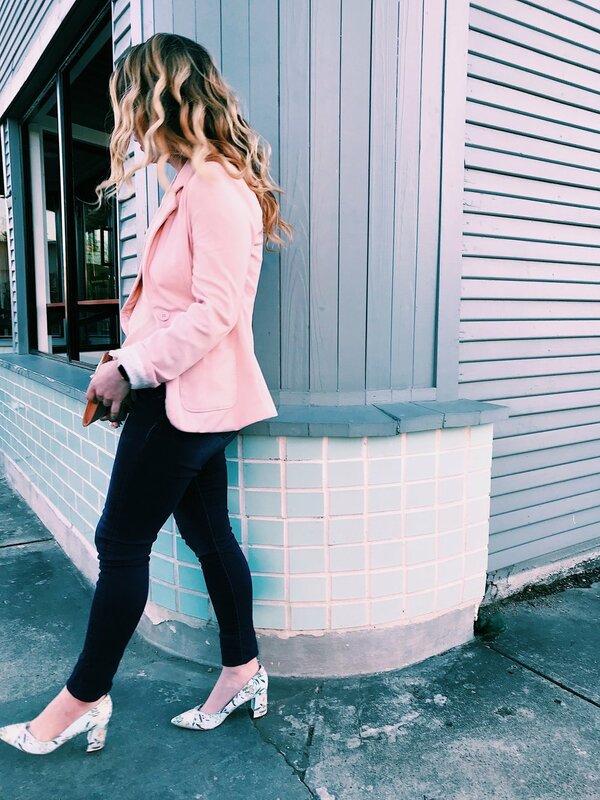 The floral print is so feminine and the block heel makes them extremely easy to walk in. Even the tapered toe makes it easy to wear with wide leg trousers or pants. They can easily be dressed up or down with jeans. 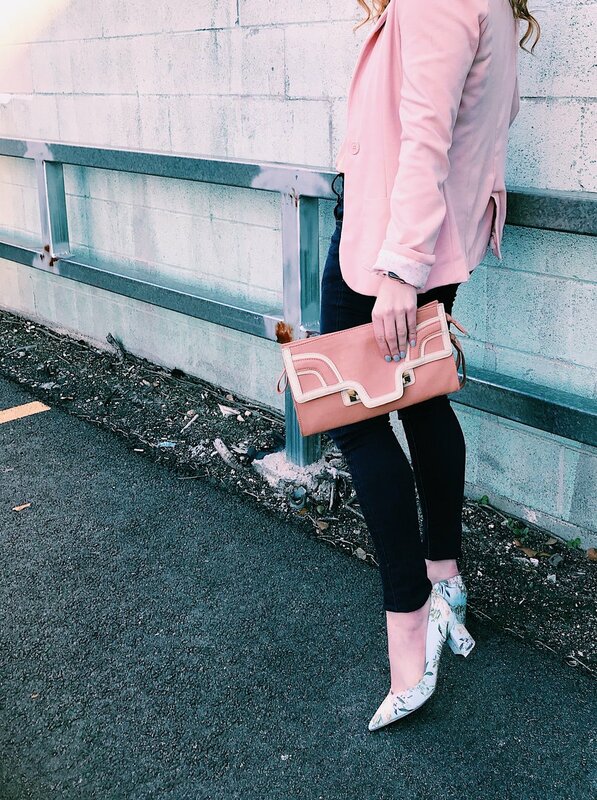 When wearing a printed shoe it’s nice to think about keeping the rest of your outfit simple. 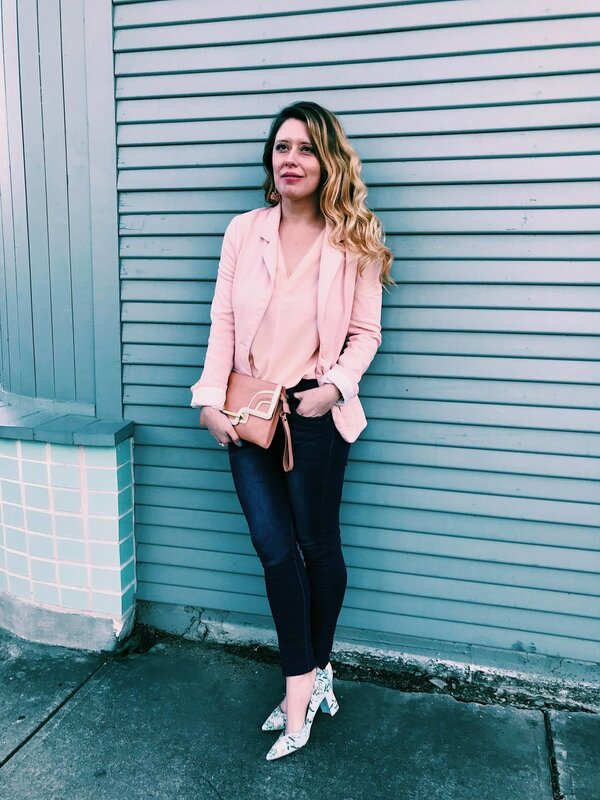 The blazer with a tone on tone shell underneath says neutral without something matchy matchy. 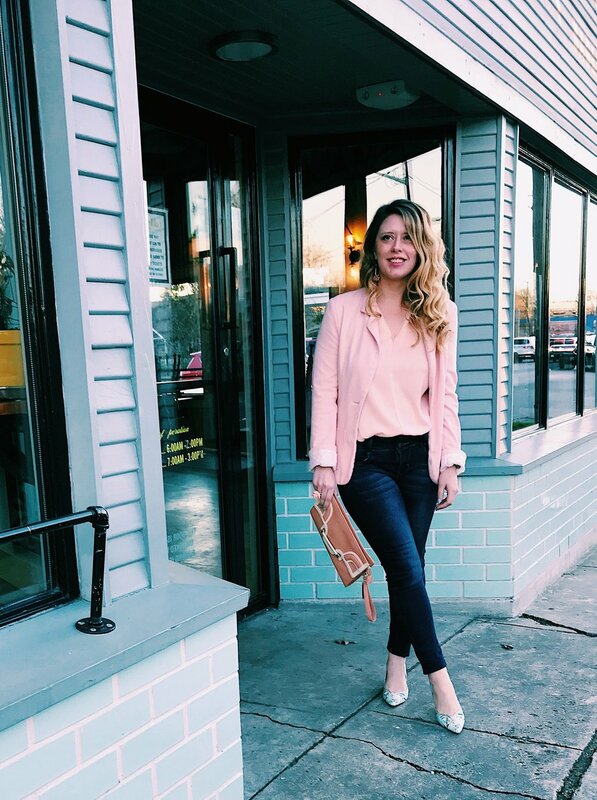 I’ve been surprised how long I’ve had this pink blazer and season after season it continues to be a worn item. 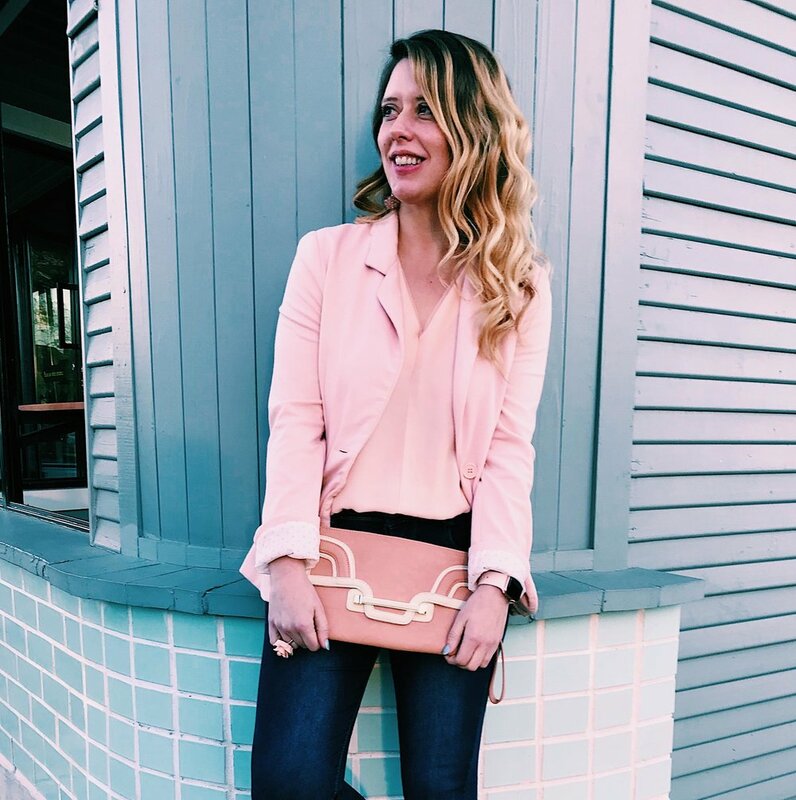 Also keep your purse neutral so it doesn’t overpower your printed pumps. If you are looking to pair it with a dress consider a shirt dress in gingham, stripes or solids. A shirt dress is perfect for a day at the office or just dressed for brunch. Also, you can add a silk scarf and pretty purse. For evening, consider a long sleeved lace dress. 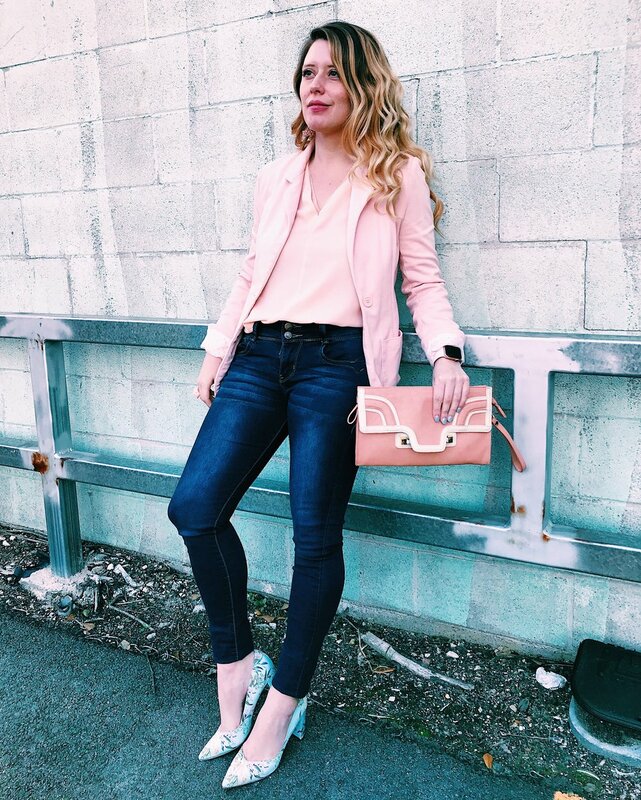 What would you wear floral pumps with?